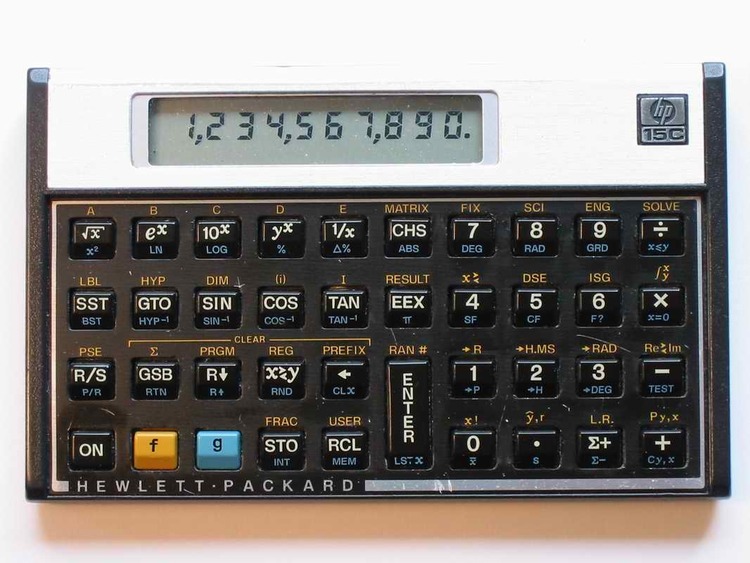 PC Emulated versions of the Hewlett-Packard 11C, 12C and 16C calculators. Mapping of the keyboards are given with each calculator display. or documentation for profit (handling fees are OK). PERFORMANCE OF THE PROGRAMS IS WITH YOU. OR EXCLUSION MAY NOT APPLY TO YOU. PC-DOS, IBM-PC, PC-XT, PC-AT and PS/2 are trademarks of IBM. MS-DOS, Microsoft, and Word are trademarks of Microsoft Corp.
Tornado Notes is a trademark of Micro Logic Corp.
Hotline is a trademark of General Information, Inc.
herein are subject to change without notice. o Full programming. Programs may be saved as disk files. with messages, and saved to disk. UPGRADES for all three calculators. ! ! ! ! P L E A S E R E A D T H I S ! ! ! ! SHAREWARE VERSION of the program included on this disk. good idea of what to expect from the COMMERCIAL VERSION UPGRADE. you buy" concept and that you will register. yourself. If you agree, please take a moment to register. information to get you started. at least skim, Chapters 1 through 6.
the HP-11C. Published by the Hewlett-Packard Company. also has a number of publications about the HP-11C. examine it using your word processor or the DOS "type" command. definitions are Alt-Shift-S (default), Alt-S, and Alt-Ctrl-S.
/nopop Run XACT-11C in non RAM Resident mode. /mono Force XACT-11C into monochrome mode. /tapefile= Name of file used to save the tape. /alt-s Change the invocation key to Alt-S.
/alt-ctrl-s Change the invocation key to Alt-Ctrl-S.
/sci Start up XACT-11C in scientific notation. calculations. To exit from XACT-11C, press the Esc key. ENTER to confirm the drop or Esc to exit the utility. given in this manual since it can easily be determined. the left of the function box. The first row of function keys use the PC keys F1 through F10. arranged left to right on your PC keyboard. function is invoke by pressing F2. shift key, and then press F3. pressed, the internal value 12.006 would be converted to 12.01. [Eng] function key followed by a number between 0 and 9. You may already be familiar with Reverse Polish Notation (RPN). the equals key and the use of parenthesis in computations. X register and this result is now stored in the X register. the stack enabled or disabled. functions are the most notable exceptions to this rule. clears the number in the x register. [Prfx] Clear the [ f ] or [ g ] prefix keys. [x^2] Square of a number. [ x ] Square root of a number. [Ln] Natural log of a number. [Log] Base 10 log of a number. [e^x] Exponential of a number. [1/X] Reciprocal of a number. [Intg] Return the integer portion of a number. [Frac] Return the fractional portion of a number. [y^x] Raise a number to a power of another number. the sales tax is 8.1%. [ + ] 43.1860 Total paid. You would pay $43.19 including sales tax. What is 20% of $3500.00? to $.98. What percent difference does this represent? Gasoline prices have fallen 10.09%. Memory register 2 contains the value 29.90.
register. The X register is "rolled around" into the T register. The [LSTx] function key is not technically a part of the stack. accidentally pressed 6 instead of 5.
functions to choose from. Each of these will be described below. hyperbolic or inverse hyperbolics of these functions. [Rad] 0.5000 Use radian mode. [Deg] -1.0000 Use degree mode. to Degrees with the [->Rad] and [->Deg] functions respectively. the y register and the x coordinate in the x register. XACT-11C can calculate the two most common probability functions. the group size is x. .123 [Sto] [Ran#] 0.1230 An arbitrary seed. be removed by pressing F1 again. be fed to your application. tape disk file if either of these options are being used. To turn off printing, press F5 again. which can include a path. (see section 1.6). filename of the program you wish to retrieve. saving. Press the Esc key after you have entered any comments. F9. If not, use the arrow keys to move to the desired location. allows you to switch between graphics and text modes. actions in a program based upon values contained in registers. Handbook and Problem Solving Guide"
toggles between program and run modes. [P/R] (as before) Run mode. program line are a code which represents which key was pressed. each key can be identified as being in a certain row and column. in instruction line 03- the display contains the value 36. [ A ] 14.0000 Program result. the PC keyboard, not the letter 'A' on the PC keyboard. contain [Rcl] instructions to fetch the data from the register. [R/S] key to allow us to enter both the x and y variables. [P/R] Return to run mode. 3 [ A ] 3.0000 Waiting for y input. location in the program identified with a [Lbl] instruction. sum of the squares of a group of numbers we wish to enter. if greater), and [Dse] (decrement and skip less than or equal). execute the loop is contained in the index register. bbb, the same skipping over event will occur. or decrement by each time the loop is executed. the [Gto] D instruction to be executed. the previous program line number. execution at that line number. line and all other line numbers will be pushed ahead in memory. 7.1 Entering and Removing Numbers. referred to as the Y variable. [ENTER] key, then enter the X variable and press the [S+] key. (or data pairs) entered thus far. R1 contains the sum of all the X variable values. R2 contains the sum of the squares of all the X variable values. R3 contains the sum of all the Y variable values. R4 contains the sum of the squares of all the Y variable values. and the Y variable values. mean of the test results. The mean of the test scores is 78.6.
x and y variables using the [S] function key. Calculate the standard deviation for the students results. and for the English scores was 12.37. Linear regression is a method used for determining the "best fit"
straight line equation for a set of paired statistical data. the intercept B in the X register. negative number, or other invalid operation. instance taking the mean of 0 numbers. label or line number that is out of range. access a label or line number that is out of range. more than 4 levels deep. valid flags are 0 and 1.